대만 GSO 에서 개발한 리치크리에탕 방식의 망원경입니다 GS 의 RC 는 광학기기 판매로 유명한 마이크로테크, 아스트로테크에서도 똑 같은 제품을 GSO 받아서 판매 하고 있습니다. 그동안 RC 망원경은 아마튜어 천문인이 사용하기에는 너무 고가미면서 대형 제품에만 사용되었지만, GSO 에서 개발한 본 망원경은 보급형으로 제작하여 RC 고유의 광학계을 유지하면서 가격은 대폭적으로 인하한 차세대 망원경 입니다. The Ritchey-Chr&eacute;tien optical design is used in virtually every recent large mega-million dollar professional observatory telescope &#8211; including the Hubble Space Telescope. And more “affordable" true coma-free Ritchey-Chr&eacute;tien optical systems made for schools and individuals by commercial R-C manufacturers typically come in large apertures and start at well over $10,000. Their size and cost put them out of the reach of most amateur astronomers. At least, true Ritchey-Chr&eacute;tiens used to start at $10,000 and up. Introducing the Astro-Tech AT6RC, an incredibly affordable Ritchey-Chr&eacute;tien astrograph (a telescope designed specifically for photographing comparatively wide areas of the sky) that virtually all astronomers can afford! The concept of a small and highly-affordable 6" R-C originated with Astro-Tech, and the AT6RC was designed and developed specifically to Astro-Tech’s specifications from the very start to be the first 6" true Ritchey-Chr&eacute;tien made. The Astro-Tech AT6RC makes coma-free Ritchey-Chr&eacute;tien imaging optics available to amateur astronomers at a price within reach and reason for nearly everyone. The AT6RC is designed for coma-free imaging using webcams, Deep Sky Imager-type cameras, and DSLRs. The December 2009 issue of Sky & Telescope said the Astro-Tech AT6RC is “a superb match" for the APS-C chips used in many DSLR cameras, “yielding a field almost 1° wide with very good star images in all but the corners of the frame." It is not designed for digiscoping through an eyepiece. Featuring a true Ritchey-Chr&eacute;tien optical system, this very economical 6" Astro-Tech R-C makes you wonder just what those $10,000+ R-Cs have that makes them cost so much. There’s an example of the wide field imaging capabilities of this compact astrograph to the right. The image of M51, the Whirlpool Galaxy, was taken by Bill Bradford, and is used by permission. Bill took 60 five minute exposures using a modified Canon XSi, for a total exposure time of 300 minutes (5 hours). Click on this small image to see the full 1900 x 1213 pixel image. Bill points out that “There is a small area of elongation in the right, lower corner due to camera related tilt. I have tested by rotating the camera and determined that it is not from the scope." Bill’s opinion of the AT6RC of the AT6RC is short and sweet. He said simply "I cannot believe how good a scope one gets for such a low price. Great value." The M104, Sombrero Galaxy, photo in the “images of some features" section below is also from Bill. He sent it to us simply with the comment, “Here is another shot with the AT6RC. Sure liking the scope." This image was named an astrophotography “Picture of the Day" on the Astronomy magazine website in July 2009. The AT6RC lunar photo in the “images of some features" section below is from an AT6RC owner, John O’Neill. It was taken with an Olympus Evolt 300 DSLR camera at 1/200 of a second through a polarizing filter. John commented, “I took this last full moon with the 6" RC. I’m very impressed with this scope. I had to collimate it a bit but after doing that the images I am getting are just superb. You certainly have a winner with this scope, at any price point." “This may very well be the ideal scope for DSLR users," John continued. 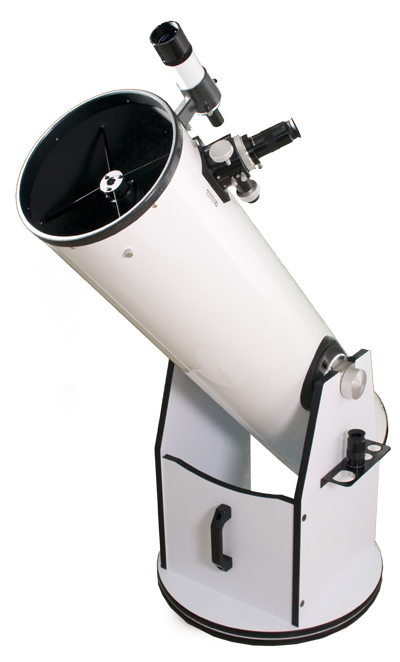 “Its fast focal ratio and wide field of view is ideal for many astro targets. I did take some shots of some deep sky objects from my light polluted neighborhood and found that the star field was pin point to the edges of my 35mm camera." The first light image of M81 and M82 below was made by Matthew Reiche using a modified Canon XSI, an Astro-Tech AT2F field flattener, and an Orion Atlas mount. It consists of 32 five minute exposures, plus darks, flats, and bias frames, for a total exposure of 2.5 hours. It was recorded at the Jenny Jump State Park in New Jersey. Matthew said, “This was first light with my AT6RC and I think it’s going to be a great scope." Designed for exceptional imaging with DSLRs and DSI-type cameras, the Astro-Tech AT6RC provides the wide coma-free photographic field that astrophotographers crave, but can’t get from conventional reflectors and Schmidt-Cassegrains. Likewise, as a pure two-mirror system, the AT6RC is totally free from the spurious color that affects the imaging of all but the most costly apochromatic refractors, and it does it with an 6" aperture that equals or exceeds the light gathering of most apo refractors. The compact size and light weight of the AT6RC makes it easy for you to mount it on any mid-range equatorial mount by itself or piggyback it on your existing larger scope for imaging. An optional second Vixen-style dovetail (#AT6SDP) is available for mounting on top of the AT6RC body. This allows you to piggyback accessories (such as a photoguide scope) on top of the AT6RC if the scope is installed directly on your equatorial mount. If serious astrophotography is your goal, but the price of most true Ritchey-Chr&eacute;tien optics has been keeping you from the optical design most modern professional observatories and the Hubble Space Telescope use for their imaging, your wait is over. The Astro-Tech AT6RC can bring the world of professional deep space imaging to your backyard observatory at a truly affordable price. Features of this Astro-Tech AT6RC Astrograph . . .
Optical design: true Ritchey-Chr&eacute;tien Cassegrain-type two-mirror optics, with hyperbolic primary and secondary mirrors. For more details, click on the “optics" icon above. Aperture: 6", 1370mm focal length, f/9 focal ratio. Hyperboloid primary mirror: Made of BK-7 optical glass. Polished to diffraction-limited or better surface accuracy. Unlike catadioptric designs (SCTs, Maksutovs, etc.) that move the primary mirror fore and aft in the optical tube to focus (which can lead to image shift as the mirror position changes) the AT6RC primary mirror is fixed to eliminate both a catadioptric’s image shift and the primary mirror collimation requirements of a Newtonian reflector. Hyperboloid secondary mirror: Made of BK-7 optical glass. Polished to diffraction-limited or better surface accuracy. Mounted in a four-vane spider and fully collimatable using simple standard Schmidt-Cassegrain collimating techniques. Unlike complicated R-C designs that use motors to move the secondary mirror fore and aft to focus, the AT6RC secondary mirror is fixed and focusing is done externally. The December 2009 issue of Sky & Telescope said that the AT6RC fixed primary and secondary mirrors “eliminate image shift, which has been the bane of Cassegrain scopes with moving-mirror focusing systems . . . It also keeps the effective focal length of the system constant, and the infinity focal point remains at a fixed point outside of the telescope, neither of which is the case with moving-mirror systems that change the separation between a Cassegrain’s primary and secondary mirrors." Enhanced aluminum optical coatings: Both primary and secondary mirrors have enhanced aluminum mirror coatings, overcoated with a protective layer of quartz for long life. Reflectivity is in the 96% range, the same as those $10,000+ R-C scopes. Optical tube: Painted rolled steel, 7.5" o.d. x 19.25" long, with die-cast and machined aluminum front and rear cells. Internal light baffles: Computer optimized primary and secondary baffling. 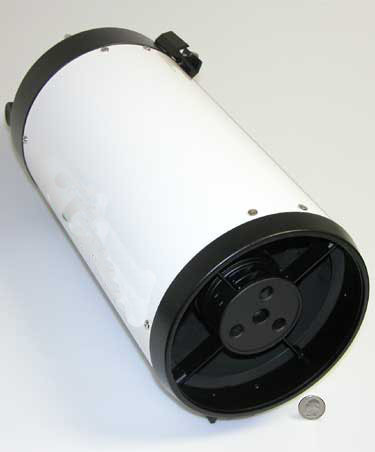 Eight contrast-enhancing glare-stop baffles in the optical tube, multiple glare-stop microbaffles in the secondary mirror light shield, and four baffles in the primary mirror baffle tube provide truly dark sky backgrounds during imaging. 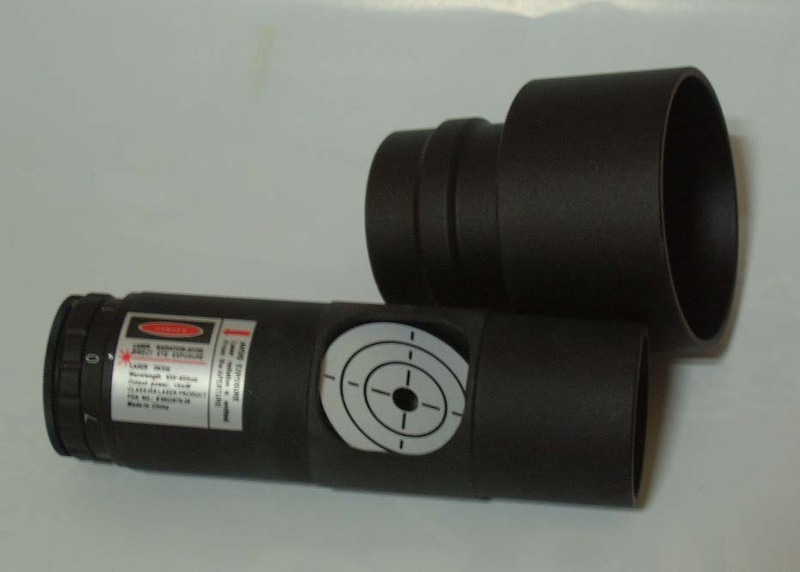 Dual-speed Crayford focuser: A 2" Crayford focuser is threaded onto the 90mm x 1mm pitch rear cell of the AT6RC. The non-vignetting focuser has dual-speed focusing. There are two coarse focusing knobs. The right knob also has a smaller concentric knob with a 10:1 reduction gear microfine focusing ratio. This provides exceptionally precise image control during critical CCD imaging. All focus knobs are ribbed, so they are easy to operate, even while wearing gloves or mittens in cold weather. Focuser travel: Focuser drawtube travel is 34mm, while back focus between the focuser's 2" accessory holder and the focal plane is 150mm. The December 2009 issue of Sky & Telescope said that “the infinity focus of the AT6RC falls 9-3/4" outside the back of the telescope, allowing plenty of room for all types of cameras, filter wheels, and ancillary equipment." You could use visual extension tubes that slip into the focuser drawtube to hold your camera at the proper spacing behind the focuser, but these might tilt slightly under the weight of the camera and affect the focus. A better solution would be to thread one or more optional Astro-Tech one-inch and two-inch extension rings (#AT1EXT and #AT2EXT) between the scope rear cell and the focuser. These will form a very rigid and tilt-free extension that moves the focuser out from the rear cell to accommodate the varying back-focus requirements of webcam/Deep Sky Imager-type cameras versus DSLRs. Typically, two rings (one 1" and one 2") will properly position most DSLRs at the AT6RC focal plane. Sky & Telescope pointed out that the “optional 1- and 2-inch extensions, as well as conventional extension tubes that fit in the 2-inch focuser, mean that you can always assemble the system so it comes to focus with whatever camera and accessories you're using." While it is possible to use SBIG ST-7/8/9/10/2000-type CCD cameras with the AT6RC, these cameras are generally not recommended. The weight of a standard CCD camera and the color filter wheel typically used with it may cause the focuser drawtube to tilt slightly when fully extended, affecting the focus. Adding an optional Feather Touch focuser will eliminate any such potential problem, although at significant additional cost (about double the cost of the AT6RC itself). 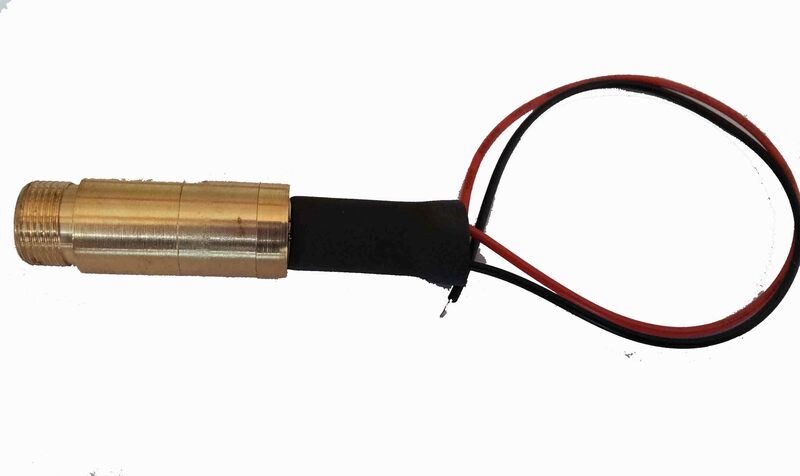 Adding a Feather Touch focuser would also require an optional 90mm x 1mm pitch Feather Touch adapter (our part #M90X1) to connect the focuser to the AT6RC rear cell. For even more impressive coma-free DSLR imaging with the AT6RC, consider adding the Astro-Tech AT2FF field flattener. 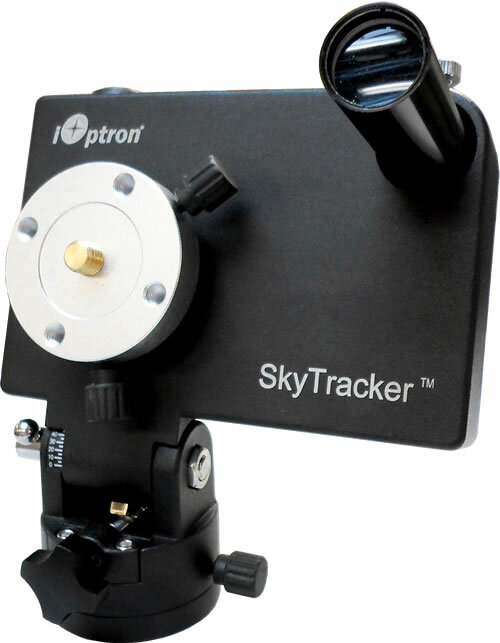 This modestly-priced imaging accessory essentially eliminates the residual field curvature inherent in all reflector telescope designs, so that the coma-free star images remain point-like all across the field of the APS-C size imaging chip used in most DSLR cameras. Use of the #AT2FF with a DSLR will typically requires one optional #AT2EXT 2" extension ring, instead of the two rings generally needed with a DSLR camera alone. Compression ring accessory holders: The focuser drawtube ends in a 2" accessory holder that uses a non-marring soft brass compression ring to hold 2" imaging accessories in place. The compression ring won’t scratch the barrel of your accessories as an ordinary thumbscrew can. Also supplied is a 1.25" accessory holder that slips into the 2" compression ring holder to let you use 1.25" imaging accessories. Like the 2" eyepiece holder on the eyepiece holder rotation mechanism, the 1.25" adapter also uses a non-marring soft brass compression ring. Mounting dovetail: a Vixen-style dovetail bar runs the length of the underside of the optical tube. The dovetail can be removed, if desired, so the AT6RC can be installed in optional user-supplied mounting rings for piggyback mounting on a larger scope. An optional #AT6SDP Vixen-style dovetail is available for mounting on top of the AT6RC to allow you to mount an optional photoguide scope on top of the astrograph.